Anyone looking for a stylish design, well-rounded performance, or a 1080p display will be attracted to the Sony Vaio C Series, but those who want portability and comfortable use under load will be repelled. Take a look at your average laptop with a 15-inch display and you’ll be looking at a laptop that’s not particularly well equipped. Oh, sure, it may have a quick processor, but the finer details are often elusive. Low-resolution displays and so-so keyboards are common. That’s a shame, because features such as these make the difference between a decent laptop and a great one. Spending a little more for a laptop that nails the details is often worthwhile. Yet the recent economic downturn has kept purse-strings tight, leaving laptops with high prices and premium features out in the cold. 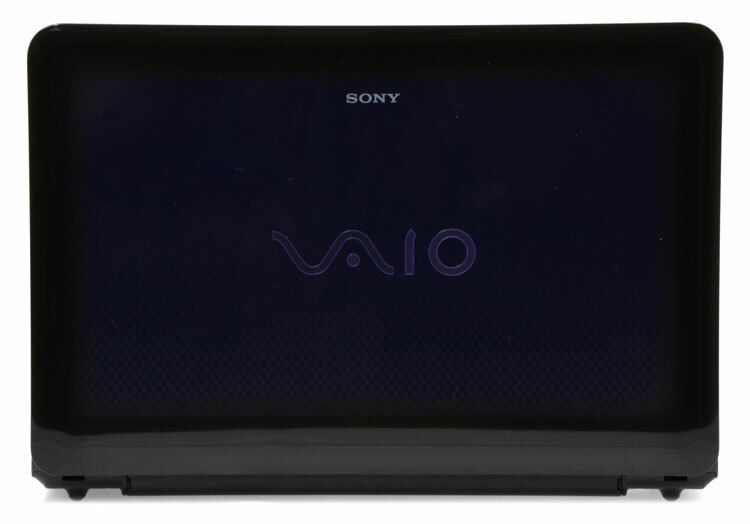 Laptops such as this Sony Vaio C, a 15.5-inch model that starts at a relatively high $729. When loaded with the goodies found on our review unit, such as a Core i5 processor, 640GB hard drive and a 1080p display, the price is $1049. These extras are impressive, but many consumers have trouble spending so much for any laptop without an Apple logo on its lid. Is this Sony worth its impressive price? Let’s find out. Taking in this laptop at-a-glance is difficult. Given just a moment’s attention, it appears rather conventional. Our review unit’s dark purple color is intriguing, but not instantly exciting, as in some lighting it appears black. On closer inspection, however, the laptop comes to life. Both the lid and the interior palmrest are finished with an unusual double coating. A patterned texture is visible, but a layer of gloss is paved over it, creating a sense of depth. It’s different, elegant, and beautiful. The beauty turns out to be skin-deep. While much of the chassis is solid, there is noticeable flex on bottom, directly beneath the location of the optical drive. Holding the laptop at any particular edge can induce a creaking noise as various plastics bend and strain under the laptop’s own weight. That is not to say it’s flimsy, but there are less expensive laptops that better resist flex. Other elements of the design deserve praise. Display movement during use, which was a problem on the previous reviewed Sony S series, isn’t an issue here. Even the most aggressive typists will find that their fingers of fury don’t induce wobble. The lid is similarly robust, as it allows minimal flex when objects are placed on top. Connectivity is readily available. Along the left flank of the laptop lurk one USB 3.0 and USB 2.0 port as well as VGA and HDMI for video out. Examine the right and two more USB 2.0 ports will be revealed along with headphone and mic jacks. Both an SD Card slot and a Memory Stick Duo slot inhabit the front. Given the large size of this laptop, there’s plenty of room to fit a full keyboard with a numpad, and the layout seizes the opportunity to stretch its legs. Some sacrifices are made in the name of squeezing in a numpad (for example, the left Tab, Shift and Caps Lock keys are a bit small) but most users will be comfortably acquainted with this keyboard in minutes. Key feel is also robust. Some additional travel would be nice, as the keys seem to bottom out quickly, but they spring back instantly. Flex is minimal and won’t be induced by normal typing. Backlighting is standard, and works well. All keys are evenly lit and are bright enough to be usable, but not so bright as to become blinding in a pitch-black room. There is no adjustment available, however, nor did we find a way to turn the backlight off. Instead, it works automatically, turning itself off fifteen seconds after the user stops typing. The touchpad is less deserving of praise. It is small relative to the laptop’s size, and also lacking in texture. While there are two individual touchpad buttons, their travel is short and they have a squishy feel. Sony may believe that most consumers who buy this laptop will use it with a mouse instead, and they’re likely correct, but that’s no excuse for poor touchpad execution. Turn on this laptop’s display and you’ll be greeted by a big surprise – full 1080p resolution! 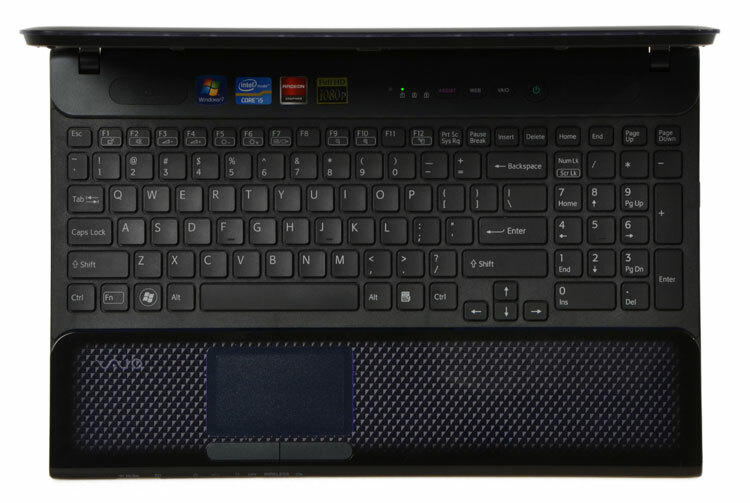 Although found frequently on gaming laptops, multimedia laptops of this size virtually never offer 1080p as an option. Its availability here (in lieu of the standard 1366×768 panel) is made all the sweeter by an upgrade cost of just $50. That’s a steal, but do be sure to check your eyesight before purchasing, as text is quite small. Pixel count aside, the high-gloss display is better than average. Black levels are slightly better than normal, and this difference was most apparent in dark images, which appeared rich and detailed. Contrast and white saturation test images also revealed satisfactory performance. Only the gradient test showed some unpleasant results in the form of banding in the darkest corner. However, there was no real-world scenario in which this test result impacted image quality. Only digital artists and photographers should be concerned. Audio quality is adequate. The two speakers located beside the display hinges are clear, but notably lacking in bass. As volumes increase, this lack results in distortion as the speakers attempt to reproduce sounds that are beyond their range. While perfectly fine for listening to music while on the go, users who plan to keep this laptop near a desk will want to purchase a nice pair of desktop speakers. Picking up the Sony Vaio C 15.5-inch reveals a lot about its portability, or lack thereof. It was immediately apparent upon lifting the laptop from its box that there’s some junk in this trunk. Rear thickness measures an intimidating 1.5 inches, while the front is just a hair thinner than 1.25 inches. All of this bulk results in a weight of about 6.3 pounds with the battery installed. While there are some thicker and heavier laptops, this laptop is towards the heavier end of the range for models of similar size. Stuffing it into a laptop bag isn’t easy unless the bag was built to accommodate 17-inch models, and once you’ve crammed it in, your shoulders will be constantly reminded of its existence. At the rear there’s a reasonably sized 5,300 mAh battery, which is standard. An optional 7,950 mAh battery is available for $60, which isn’t a bad price, but I doubt most users will need to spring for it. Even the smaller unit provided an hour and a half of endurance in Battery Eater, which was stretched to six hours and eighteen minutes in the more realistic Reader’s Test. These results are enough to handle most cross-country flights, but given the size of this laptop, it’s not the ideal companion for such trips. Despite a large chassis, which should in theory provide reasonable room for heat dissipation, this laptop proved toasty even during light usage. No specific spot stuck out as a source of the heat, but the entire bottom of the laptop became uncomfortably warm after as little as a half-hour of use. This extended to the keyboard, resulting in sweaty-palm syndrome, which is every bit as uncomfortable as it sounds. Stress testing only aggravated the situation. When pressed in this way the area of the keyboard nearest the exhaust port on the laptop’s left felt warmest, but the entire laptop, both top and bottom, was hot enough to make using it an unpleasant experience. All of this heat is balanced by a system fan, which is quiet. At idle it’s difficult to pick up over a room’s typical ambient noise. Placing load on the hardware forces the fan to spin up, but it never reaches hair-dryer levels of racket, instead pacing itself. While it’d be preferable if the fan could achieve this while keeping temperatures low, a dull system fan is always better than one that seems happy to impersonate a hurricane. Like every Sony tested recently, this laptop comes with a strange little dock which lingers at the top of the display and acts as application launcher. The inclusion of it is a mystery, as it is redundant with the Windows taskbar and with icons already on the desktop. Worse, the dock has a nasty habit of appearing whenever the user attempts to click on a full-screen window’s title bar, which is annoying. Dispatching the dock can be accomplished with a mouse-click, however, and permanent removal is also easy. Otherwise, the only potentially annoying bloatware is Norton Internet Security, which uses the typical pop-up scare tactics to lure users into purchasing the company’s product. At the heart of the base Sony Vaio C 15.5-inch you’ll find a Core i3 processor, but our review unit came equipped with an upgrade to the Core i5-2410M, which will set consumers back $60. Also found on our review unit is a Radeon 6630M mobile GPU, a $100 upgrade which promises to improve performance over the standard Intel IGP. Firing up SiSoft Sandra’s Processor Arithmetic benchmark proved that this laptop means business, as it returned a score of 38 GOPS, which is almost identical to the score returned by the smaller but similarly equipped Sony Vaio S Series laptop we previously reviewed. 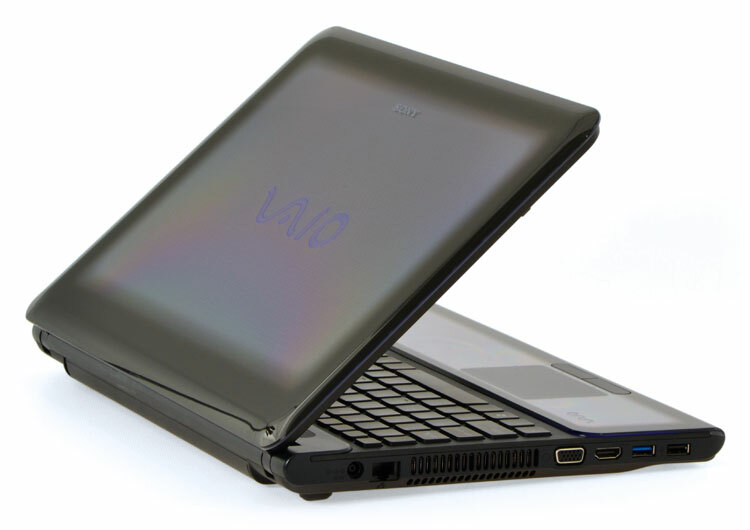 The Vaio C Series also returned an impressive score of 2,159 in PCMark 7, which is one of the highest results we’ve seen from a laptop not dedicated to gaming. That’s not to say gamers are left out. The Radeon graphics led the charge to a 3DMark 06 score of 6,650 and a 3DMark 11 score of 983. While these results are well short of a true gaming rig, they indicate that this laptop is capable of playing most 3D games at low to medium detail settings. As robust as these scores are, they’re blunted by the $1049 price tag. Quad-core laptops are readily available from other manufactures at this price, and gamers would be far better off purchasing a true gaming laptop for just a few hundred more. 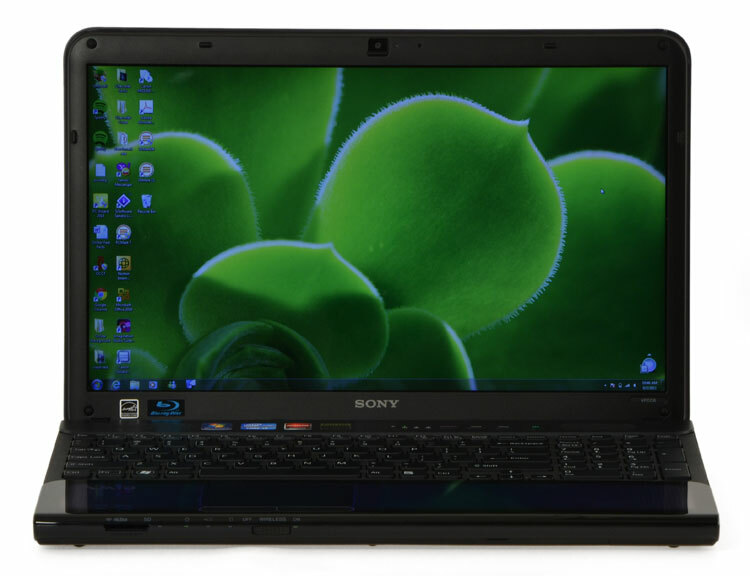 Still, this Sony can handle a bit of everything, which is expected of a multimedia laptop. Sony has once again proved that Windows is not synonymous with boring. This laptop is visually appealing and, better yet, it doesn’t require that buyers sacrifice their left arm for the sake of looks. While the signature collection is extra, there are four color choices – Bolt Black, Thunder Blue, Neon Green and Lightening White – available at no extra charge. Equally attractive is this laptop’s display, which offers a wealth of pixels and solid quality relative to most competitors. Features like a standard backlit keyboard and an available Blu-ray drive are only icing on the cake. These benefits start to erode, however, when bang-for-your-buck is considered. While the $50 full HD display is a bargain, the base asking price of $729 is a bit high for a laptop that comes stock with a Core i3. The real problem, however, is death by a thousand pin-pricks. Bulk is an issue from the start, heat buildup is worse than it should be, and audio quality is only so-so. None of these issues are fatal, but they’re all annoying, and drag down an otherwise excellent computer. We’re left with a product that’s hard to flatly recommend or not recommend. Anyone looking for a stylish design, well-rounded performance, or a 1080p display will be attracted, but those who want portability and comfortable use under load will be repelled.